Up for review today is the JHS Lime Aid. It’s a compressor pedal specifically designed for the bass. At around $200, it certainly isn’t cheap, but I will tell you that there are worse ways to spend $200. I originally bought this pedal because I was looking for something clean to boost the output from my previous bass as the output was low. I thought some compression wouldn’t hurt, either. Little did I know, that I’d be having my world changed. The funny thing about saying “having my world changed” is that compression should almost always be subtle and unnoticeable. In this case, that’s exactly what it did, and did it so well, that it changed my life. Here’s why: without noticing it at all, it makes you feel and sound like you’re a way better player than you are. That’s because it smooths everything out, tightens the sound, and adds a little more punch. It makes you more consistent and that’s a good thing when you want that. Your note volumes are even as you move up and down strings and your sustain is much better. I’d caution against getting a compressor pedal too early in your bass career as the best thing you can do is learn how to play an instrument properly and evenly. This takes care of bits of dynamics for you which can be a good thing when you want it to do that, but if you can’t control your dynamics yourself, you’re lacking something. I certainly wouldn’t practice with it as it’s best to hear as accurately as possible what you’re doing, but when you want to add polish to your playing, it’s awesome. The great things about this pedal is that it keeps the signal pretty clear and has a wonderful blend knob to mix in uncompressed signal with compressed signal. It’s easy to operate and sounds great. Construction is solid and I like how simple it is. 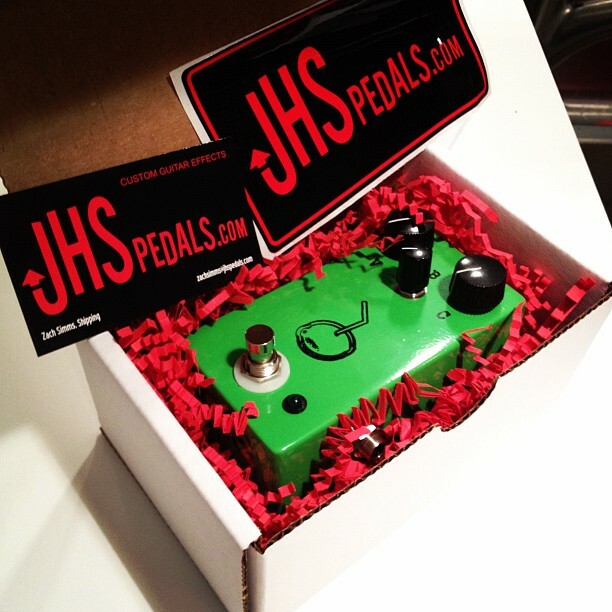 JHS pedals don’t come with a 9V option stock so you do need to power it with a power supply. Here’s one thing to note: they DO NOT like 1-spots, Godlykes, or other cheap power supplies. They get noisy. With a good, isolated power supply like a Voodoo Lab, it’s dead quiet. Overall, it’s a chunk of money at $200, but this is a well-designed, great-sounding, hand-built boutique pedal. I think having a good compressor can be invaluable for smoothing things out or giving you that tight, even tone for certain things. I like it and it’ll be sticking around for quite some time. i fyou drive that much it is possible ( i have a '96 honda w/ 112k...) and then it is reasonalbe to conclude you use your ac a lot if you'jve ever had to replace it. or you abuse it in some way.